Pavement Maintenance, Asphalt Paving and Repair Contractors – DRYCO Construction – SF Bay Area, Sacramento, Central Valley – DRYCO is your all in-one contractor for Asphalt, Concrete, Striping, Sealcoating, Fence and Iron, ADA Upgrades, Game Courts, Saw Cutting, Paving Repairs and Concrete Construction. For over 30 years we have been servicing the SF Bay Area, Sacramento, Northern California, and Central Valley. 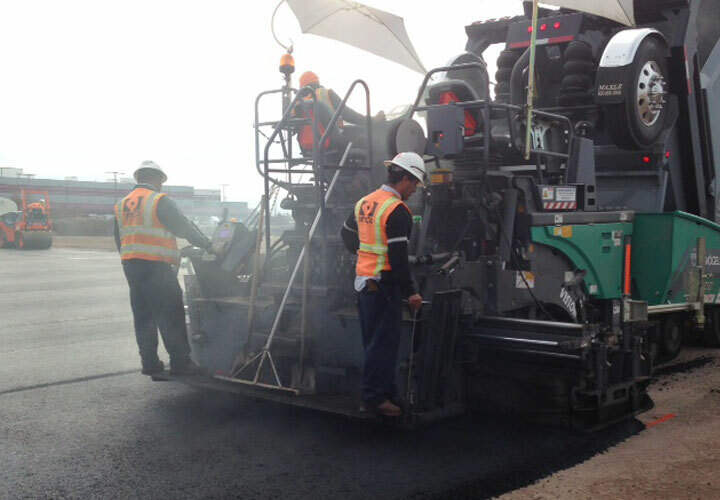 Established in 1985, DRYCO is the premier paving contractor in the Bay Area and Central Valley. With our sealcoat, striping, custom concrete, concrete pumping, and fencing division, we are your one-stop resource for all commercial pavement maintenance projects. From parking lot repair and asphalt resurfacing to pavement maintenance programs for seal coat and striping, DRYCO has the expertise, equipment, and capacity to tackle—and excel at—any commercial paving project, from start to finish and then some. Whether you need an ADA compliance retrofit, structural retaining walls and masonry work, or a creative, custom concrete walkway with unique concrete color pigment and stamping or texture, our concrete division is equipped to complete your commercial concrete project. 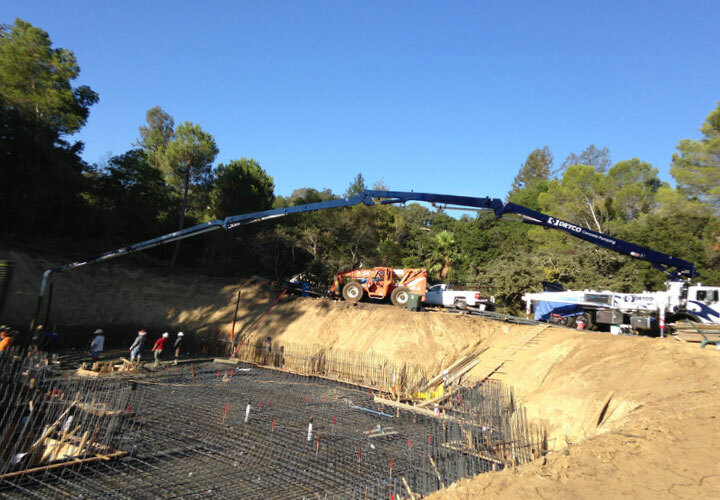 In order to meet the Bay Area’s growth demand, since 2009 we have invested in Metal Fencing Division to be one of the largest. Our expertise are now unparalleled as we can complete any type of metal fencing project (including special rust resistant alloys), from chain-link security fencing to ornamental iron and gates. DRYCO further expanded its comprehensive services to include a full-service concrete pumping division. Our division manager has three decades in the industry and his well-earned reputation for quality and customer service is now a part of the DRYCO experience. We are committed to being reliable, responsible, and results-driven. DRYCO works with property managers, home owners associations, general contractors, engineering consultants, and building owners to keep their most valuable assets protected and maintained. Whether it be Sacramento, Fresno, San Jose, or anywhere in between, DRYCO has you covered. We offer a variety of services while always staying up-to-date with industry technology and best practices. DRYCO estimators are also your project managers, allowing us to keep even the largest and most complex jobs well organized while giving you a single point of contact. Whether you need ADA upgrades, parking lot maintenance, parking lot repairs, concrete ramps, chain link fencing repairs, a blacktop, and/or a seal coat, DRYCO is equipped to handle all aspects of your paving and fencing needs. We are your one-stop source for all asphalt, coatings, striping, concrete, and fencing needs. We have over 30 years in business and always stay on top of the latest innovations in the industry to provide the best service and technology. We have built our reputation on a foundation of honesty, pride in our work, and long-lasting customer relationships. Our dedication and commitment to the highest standard of quality worksmanship for every job we contract is unrivaled. Reliable, Responsible, Results-Driven. One of our core tenants is to always be a company you can count on—on time, on budget, on purpose. Because we can handle all aspects of any hardscape and fencing jobs, you can avoid multiple subs, and related risk of lost time, cost overruns & quality. Our work is always top-notch—and therefore you will save exponentially over the life of the product we deliver to you. We recently moved our Northern California headquarters into a new 14,000 sq ft facility in Pleasanton. DRYCO was responsible for a complete revitalization of the parking lot, including ADA improvements, sealcoat and striping. The crews showed up early in the morning, got right to work, and by the end of the day all of the concrete and sealcoating was finished. They then came back the next day—a Saturday—to do the striping so we could move in Monday without any interruption to our use of the facility. They were very well organized, with lots of guys and equipment, and no mess left behind. As a contractor myself as well as a business owner, I can appreciate the efficiency and quality of a job well done. Very impressed with DRYCO. I wanted to commend you and your staff as the project was completed without any major issues and the teamwork between your staff to accommodate our requests definitely shows the attentiveness your company holds for its customers. We will definitely be looking to DRYCO for our future asphalt needs. I approached DRYCO to do my paving work on the Commercial Properties that I manage and the results were 100% satisfaction. DRYCO was my go-to vendor for consulting on the best approach to the work that was needed because they have invested time educating Property and Facilities managers on the various paving techniques. This gave me the tools to ask intelligent questions. DRYCO is a family-owned business so the personal attention was appreciated. I would highly recommend DRYCO to anyone that is in need of a paving project. Dale Green, Sleepy Hollow Management Co.
On behalf of Eagle Ridge Estate HOA, I want to express my sincerest of thanks in the beautiful execution of our gate. Projects of this scale can be challenging for both client and vendor, but DRYCO managed to pull it off with relative ease thanks to the team’s professionalism and expertise. Most notable was how messy the job should have been (and likely was for you guys! ), but everyone has remarked how cleanly and smoothly the work went, with truly no interruption or eyesore in our comings and goings. DRYCO's extensive work at the one million square foot facility which I manage was impressive from both a quality and customer service perspective. The commitment and diligence to ensure the project ran smoothly and professionally was evident from the start of construction and continued until the project was completed—on time and on budget in spite of challenges from the weather as well as having to accommodate the tenant's daily business schedule. I highly recommend DRYCO and will not hesitate to engage them in future projects.